The #NoFilter series has as its focus the numerous challenges that surround social media and its use in the library. 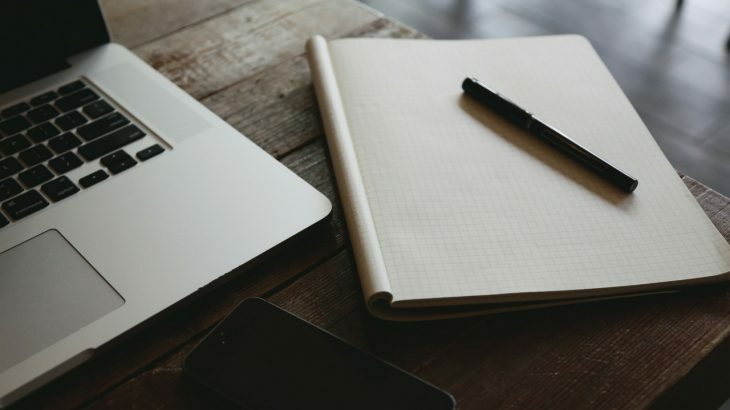 In previous posts, I discussed sources for content inspiration as well as tips for content planning. This entry will concentrate on creating compelling visual content for your library’s social media. A strong visual component for a social media post is imperative for capturing the attention of users and bringing them into dialogue with the library and forming the relationships that are key to institutional social media success. Social media is not a one-way self-promotional tool for a library, but rather an interactive space allowing a library to engage meaningfully with users, cultivate their support and kindle their enthusiasm for the library’s work. Quality visual content in a social media post has the potential to spur conversations with/among users who in turn share the library’s content with ever-wider audiences. 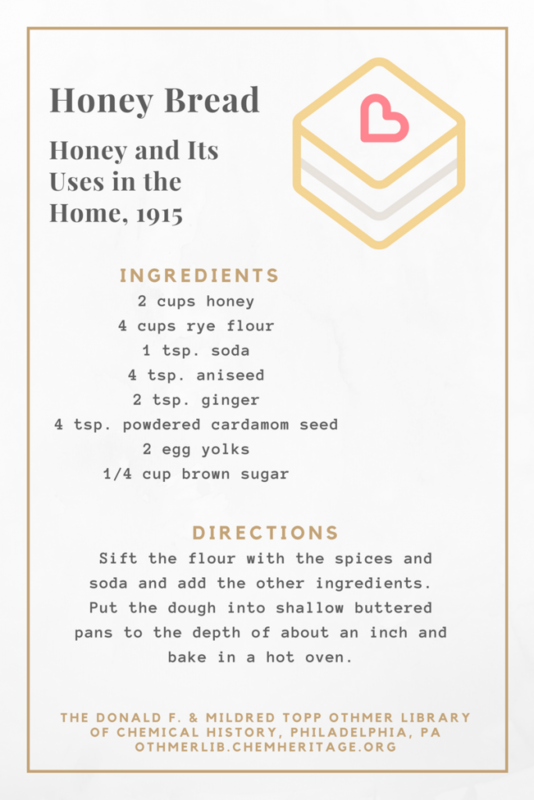 Recipe card created using Canva for a Honey Bread Recipe from 1915. The card was shared on the Othmer Library’s Pinterest and Tumblr where it elicited numerous user responses. Craft an aesthetically pleasing design using Canva, the user-friendly web-based graphic design service. Utilizing one of Canva’s social media templates makes the creation process all that more efficient. If graphic design is not your forte, you can complete Canva’s Design Essentials tutorials which cover everything from fonts and colors to images and backgrounds. Assemble an infographic to display information in a captivating way. Canva makes this easy with its infographic template. PowerPoint can also be used for this purpose. The Penn Libraries provide excellent instructions for this process on its Infographics Guide. Bring a static photo or illustration to life with an animated GIF (short for Graphic Interchange Format). At the Othmer Library of Chemical History, we employ Photoshop Elements in order to create GIFs of images in our rare books and archives. Does using Photoshop seem intimidating to you? The Smithsonian Libraries offer some useful tips and tricks in their 2014 blog post: Library Hacks: Creating Animated GIFs. My colleague also created a handy step-by-step guide for GIF-making: Animated GIF Basics. What types of visual content do you share on your library’s social media? Do you have any tips for creating compelling visuals? Share them in the comments below! General information, Original Content gifs, outreach, social media. permalink.